Sheila Northrop is an experienced genealogist and genealogy speaker. She has been a professional genealogist for almost 20 years and has helped hundreds of clients. She is a member of the National Genealogical Society, the Association of Professional Genealogists, the Irish Genealogical Society, International and many state and local genealogical organizations. She is a former board member of the Minnesota Genealogical Society and former Education Chair of the Irish Genealogical Society, International. You may have seen one of her talks at the Celtic Connections Conference in Boston, the Iowa Genealogical Society, the Wisconsin Historical Society, or a local society in South Dakota or Minnesota. Publishing soon in Ireland, Sheila was a contributor to a Clare County history of religious order members that emigrated from that area over the past 200 years. Sheila has a history of taking genealogy in new directions. Sometimes known as the 'Math Girl', Sheila has a Bachelor of Science degree from the University of Minnesota, College of Science & Engineering, in Mathematics with Computer Applications. She loves her 'other' job, as a Software Developer and uses her analytical nature to best advantage by finding new and unique ways of solving genealogical puzzles. Originally developed as a tool for people researching Irish ancestry, her ground-breaking statistical mapping of family members or family names over time/location is now used by people researching ancestors in the U.S. and around the world. 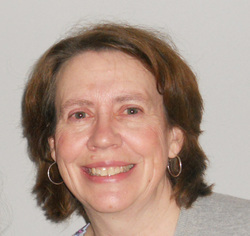 Though Laura Northrop is new to genealogy, she is a very enthusiastic and brilliant addition to FamilyTracer.net! Laura is very detailed oriented and is responsible for most of the data organization, editing and graphics design for our Family History books. Of course, she does have a Bachelor of Arts degree, from the University of St. Catherine, in Studio Arts. She also has a degree in Biology, but we haven't quite figured out how to leverage that for genealogy yet!